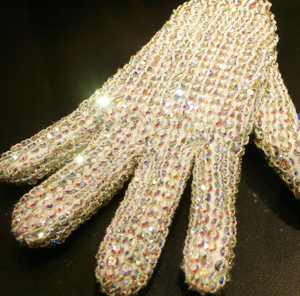 Nguema Obiang paid US$1.1 million for a crystal-studded glove like this one – from Michael Jackson’s “Bad” tour – with dirty money, according to the US. It’s getting harder for Teodoro Nguema Obiang Mangue to keep getting away with it. The son of the long-serving president of Equatorial Guinea has been forced by the US government to forfeit his cliff-top Malibu mansion, a rare Ferrari and several life-size Michael Jackson statues, all said by the US Department of Justice to have been purchased with proceeds of corruption. Read the Department of Justice case here. The settlement, announced on 10 October, follows the French government’s sale last year of a fleet of luxury sports cars seized from Nguema Obiang as part of a money-laundering investigation, including Bugattis, Ferraris and Maseratis. In their 10-year investigation of Nguema Obiang, US officials documented a three-country shopping spree of more than US$100 million, according to the Wall Street Journal. The Department of Justice went after US$70.8 million in US assets – and will recover about half of that from the man whose official government salary was less than US$100,000, according to the Department of Justice case. Though its oil riches give Equatorial Guinea a per capita GDP on a par with Italy, South Korea, and Israel, its own government acknowledges that over 75 per cent of its people live in poverty. The country has one of the highest rates of infant mortality in the world, according to the United Nations Development Programme, the majority of Equatoguineans lack access to clean drinking water, and on average, they die before their 53rd birthday. Last week’s settlement was the first US legal action of any kind to target the family of a sitting head of state. When the assets are sold, US$20 million will be given to a charitable organisation for the benefit of the people of Equatorial Guinea and another US$10.3 million will be forfeited to the United States for the same purpose, according to the Justice Department. To put this in context, US$30 million could fund more than half of the UN development programme for Equatorial Guinea for five years. It is not full justice for the victims – the people of Equatorial Guinea – but it is a step in that direction. The agreement also provides that if certain of Nguema Obiang’s other assets – including a Gulfstream Jet and a Michael Jackson crystal-studded glove (pictured above) – are ever brought into the United States, they are subject to seizure and forfeiture, the Open Society Justice Initiative said. “It shows that the United States will take action against the proceeds of corruption, even when it involves those with close political and economic ties to Washington,” said Ken Hurwitz of the Open Society Justice Initiative. Most of the country’s oil and gas is pumped by US companies, Open Society said. So how did Nguema Obiang buy all that real estate and luxury goods? A 2010 Senate investigation alleged that various facilitators – including lawyers, real estate agents, and others – set up shell companies in the US. The Associated Press reported that investigators believe Nguema Obiang funnelled funds through those companies, allowing him to amass a fortune of over US$300 million worth of assets. That’s why Transparency International is calling for public registries of company owners that reveal who owns, controls and ultimately benefits from every company (its “beneficial owners”). Currently that information is secret in almost every country in the world. Secondly, we need both national and global action to better regulate the sale and transfer of real estate and luxury goods. Any suspicious transaction – if a government official on a civil service salary, for example, has the cash to buy a penthouse flat – must be reported and investigated. We need to make it impossible for people to live a luxury lifestyle funded by illicit or laundered money. Finally, Transparency International wants corrupt individuals to be prevented from travelling around the world to enjoy the proceeds of corruption in other countries. Just this week, the US government refused to allow several Hungarians to enter the US because it said they had been involved in corruption. Transparency International is calling for clear and transparent criteria for denial of entry procedures imposed by governments to reduce possible abuse or political manipulation. Taken together, these measures will make it harder for the corrupt to launder their stolen cash internationally. Nguema Obiang’s troubles are not over. French financial prosecutors in March filed preliminary charges of alleged money-laundering connected to real estate, luxury cars, art and other property in France as part of a larger suit involving properties owned by leaders of Equatorial Guinea, Gabon and the Republic of Congo. In Spain, in 2009, an investigation was launched into alleged money-laundering by more in the Obiang family – including Equatorial Guinea’s President Teodoro Obiang Nguema.